A photo of Mikaela Conley, who police say was killed last week in Bar Harbor, sits on display Monday evening at a vigil for her at the town's Village Green. The Rev. Rob Benson of Bar Harbor Congregational Church tidys up lilac blossoms on a display table at a vigil Monday night, June 11, 2018, for Mikaela Conley at the local Village Green. Approximately 150 people attended the vigil for Conley, 19, of Bar Harbor, who was killed last week and whose body was found in the woods near the downtown village. BAR HARBOR, Maine – Jasmine Wehbe never knew Mikaela Conley. 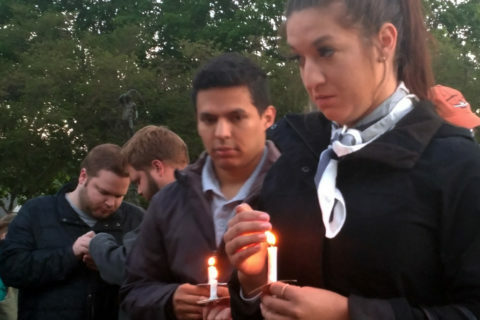 The 22-year-old Wehbe lives in Clearwater, Florida, and has summered in Bar Harbor for the last five years, but still felt obliged to attend a memorial vigil for Conley on Monday night. Conley, 19, was last seen on May 31. Two days later, her body was found near the downtown village in woods next to the intersection of Eden and West streets. Accused of killing her is a former high school classmate, local resident Jalique Keene, 21, who was arrested on June 4 and is being held without bail at Hancock County Jail in Ellsworth on a charge of murder. Vigil for Mikaela Conley on the Bar Harbor Village Green. 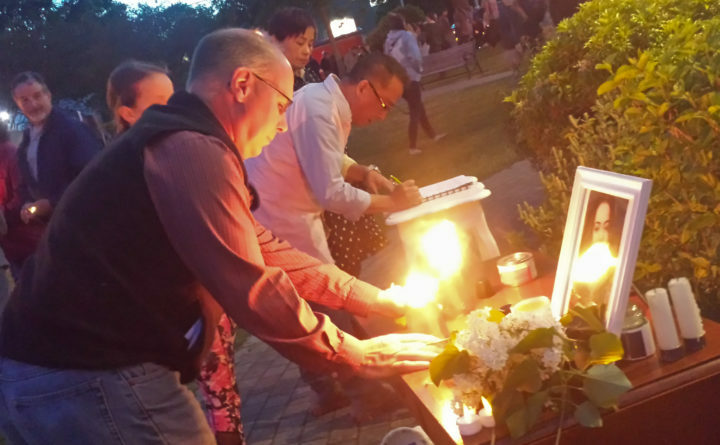 Police estimated that as many as 150 people attended the vigil on the town green. They stood together with lit candles, listened to songs and some left memories of Conley and best wishes to her family in a book provided by Matthew Hochman, a town council member and business owner who organized the event with fellow Bar Harbor resident Nina St. Germain. 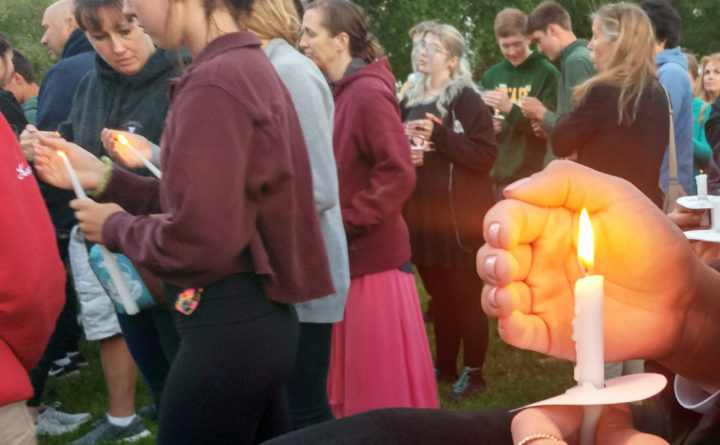 Jasmine Wehbe or Florida protects the flame of her candle from persistent winds during a vigil for 19-year-old Mikaela Conley, whose body was found on June 2. Despite the widespread attention that Conley’s death has received, little has been revealed publicly about the investigation into how she died and the circumstances that led up to her death. Documents related to the investigation have been impounded and police have said nothing beyond that they believe Keene is responsible. Conley and Keene both grew up in Bar Harbor and were only a couple of years apart in school. Conley was an underclassman at Mount Desert Island High School in Bar Harbor when Keene graduated in 2015. On Saturday, Conley’s family held a gathering for those who knew her at their restaurant, 2 Cats on Cottage Street, to celebrate her life. 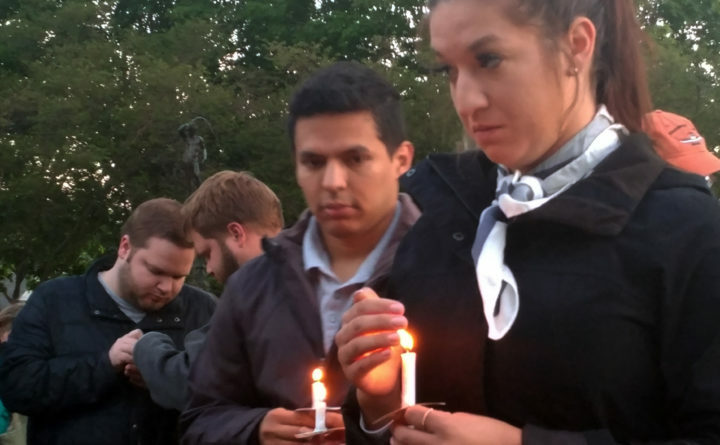 Coming two days after the memorial service, the vigil was designed to give the community a chance to mourn the loss of Conley. 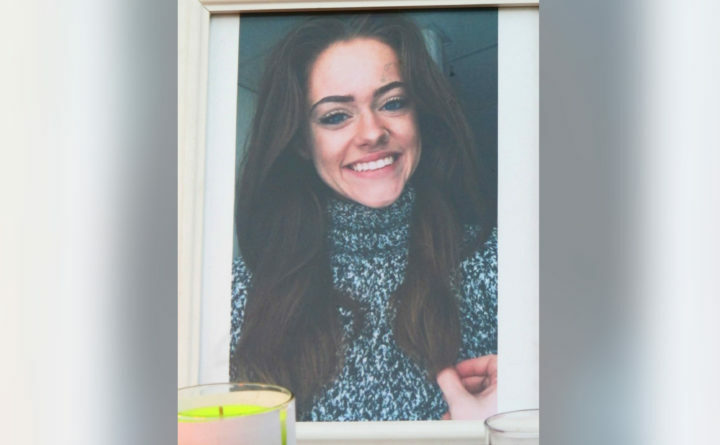 Although the family has asked residents not to speak about the case, Conley has been described as a bright, vivacious young woman with a promising future.